Back in February, I think, I flagged the potential of some changes that would impact on airscape one way or another this year. Turns out I was right. But still, the changes came later than I’d expected and, true to life, were completely different from what I’d planned. I’m just glad I had enough eyes on the dials to know something was going to give. The headline event of 2018’s first quarter has to be the TAVAS Great War Flying Display at Caboolture. I’m sure I’d only be on a par with everyone else involved when I say it took an enormous effort – both before and during – to make the event happen. But the result was unforgettable and I’d do it all again tomorrow. I got to immerse myself in aviation, support a great project, hang out with wonderful people, eat questionable takeaways, and bask in the presence of those truly amazing century-old aircraft designs. On the Monday after I flew home I started a new full-time job, and that’s where the second quarter of my year has gone. Then my already-crashy laptop popped it’s whatever-it-was one more time and I lost the 500-some photos I’d taken at Caboolture. F-word. Getting a replacement computer ate up still more weeks and energy. The Dr.1 image above tells a story. It is, of course, the TAVAS replica I wrote about in my Red Baron post and the fact that I even have this image is a total fluke, after my computer’s wholesale auto-sabotage. The aircraft is parked in the door of the TAVAS hangar on the afternoon before the event. And along with the stormclouds there was a heavy pall in the air, brought on by the looming certainty that all our work was about to be washed out in a weekend of massive thunderstorms. As it happened, both days turned out fine. Out of frame to the right, Tony Wytenburg of Classic Aero Machining Service (CAMS) was installing a new rotary engine onto the museum’s Fokker Eindecker. Read that sentence again. It would have been a remarkable statement in 1918; it’s truly incredible 100 years on! 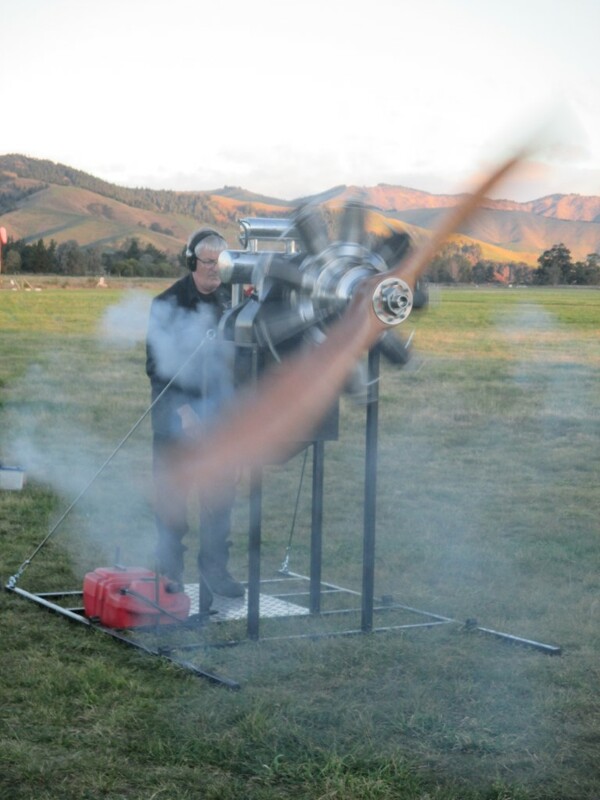 Tony and his company manufactures new Gnome Rotary engines in Omaka, New Zealand. True to the original concept, each one is a jaw-dropping and slightly mad piece of machinery. But beautiful to behold. Tony adds a range of modern enhancements to the his re-manufactured models, ranging from esoteric improvements in the metallurgy to more practical things like the option of an electric starter motor. I’ve just confirmed that he’ll be at Airventure this year, with a running rotary. So if you’re going to Oshkosh, make sure you search out his stand and treat yourself to the extraordinary sight, smell and sound of a rotary engine in full song. He deserves to be a star of the show. Deeper into the hangar (returning to the photo) is the awesome collection of early aircraft replicas that now forms the TAVAS Museum, dedicated to enthralling and educating the public about the dawn of flight. I was utterly gob-smacked when I first walked in. The inherent beauty of the WW1 replicas completely belies their lethality. To see both properties so clearly juxtaposed is breath-taking. The craftsmanship and engineering is also something to behold. Kelly Johnson’s famous principle of ‘adding lightness’ is evident in every strut, wire and spread of fabric. Simplificating and reducing drag; not so much. The most imposing presence in the room is, without a doubt, the replica 1909 Farman III originally built at Owl’s Head Museum, Maine. Forerunner of the historic Bristol Boxkite, this aircraft is huge and imposing beside the nimble Great War replicas – and a magnificent piece of art in spruce and linen. The museum walls have been lined with a history of the development of powered flight, which puts the aircraft on display in their historical context for visitors. One wall is also dedicated to a comprehensive listing of all Australia’s Great War aces with a short biography of each. Walking into hangars is always a great experience. They usually look kind of ordinary on the outside, but inevitably house treasures within. 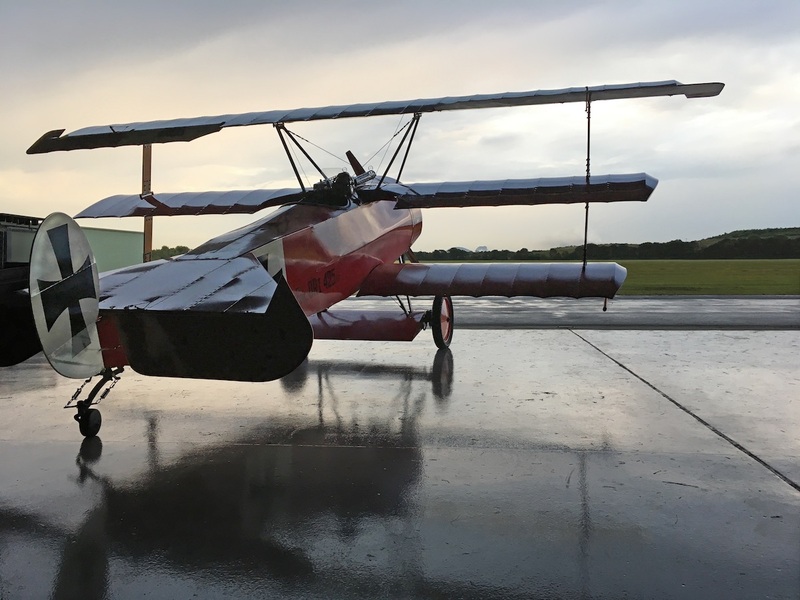 Hangar 106 at Caboolture Airfield takes the biscuit. It’s a credit to the vision, effort and dedication of the TAVAS team. I’ll be a long time forgetting the sight, that’s for sure. Go there! I have a lot of writing to catch up on – not least for airscape, as well as various other pieces I’ve promised to people. I want to start with this piece as a regular introduction to each month’s header image. Sometimes I’ll simply give a little background to the image I’ve chosen, other times I’ll write a more editorial piece on what’s happening with me, aviation and airscape. It’ll help keep you in the picture, and me on track. Mate – thanks so much for the kind words. I had to read it a few times to realise you meant our TAVAS. Great to see someone giving a shout out to Tony and his remarkable work – he really deserves it. Great article, well written and I appreciate the ad. We need to get you back here soon and up in the Piet or Bristol. – There’s always one, isn’t there! Thanks again for the unforgettable experience mate. Don’t underestimate what you’ve achieved in 7 years. Cole Palen took 8 to establish Old Rhinebeck; Richard Shuttle worth spent 10 years and a fair bit of inherited wealth. 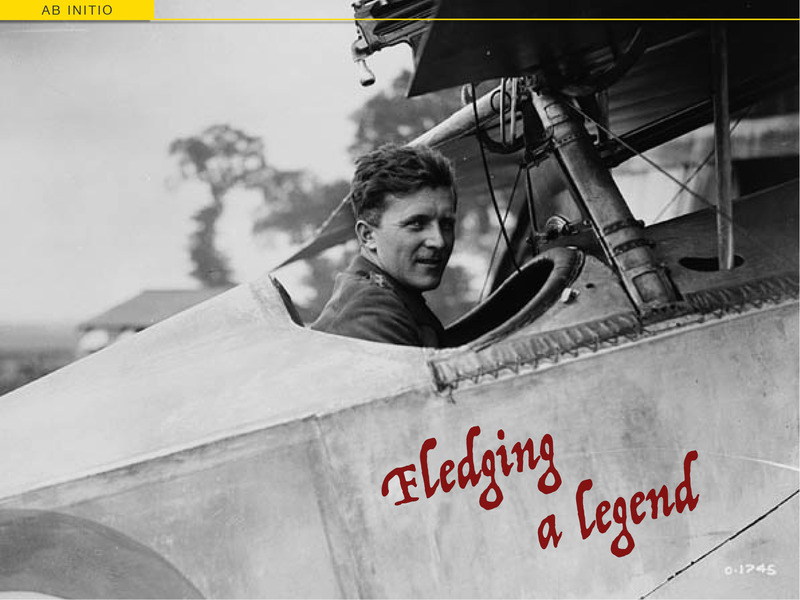 You (with your TAVAS members and volunteers) have made Australia’s aviation scene a richer place. It’s good to have you back! And I’m looking forward to more posts. You certainly will. Australia has some amazing aviation collections. It’s just really, really far between most of them! And no, I didn’t actually lose that much. I’d backed everything up before I went away, but not between downloading all my TAVAS photos and “the incident”. All I really lost was the stuff I really wanted. Always the way. Still, I now have a shiny new computer that doesn’t crash, even when I do two things at once! So I’m more excited about using it too. Well, that’s good you got a better computer out of it all! Good to see you and also to tell you what an excellent article you did here today! Another excellent article! Worth the wait! Welcome back David, you HAVE been missed! Thanks Mitch. I’ll send you a separate email shortly. Hi David. It was good to meet you at last at Caboolture at the show, even if it was only for a short time. I double-shifted on the Saturday so was busy myself. Thank goodness the WX held off as while I was tramping around on Friday in the rain during set-up, I was very concerned for the weekend. Hi Bob. Thanks – and yes, it was great to meet up at YCAB. I still think about the thunderheads that were sitting of the coast at dawn on Saturday morning, and how amazing it was that they stayed out there.